Editor's Note: After this column was submitted, the House of Representatives rejected the gas tax and the Finance Committee reworked the budget. By the time you read this column, the New Hampshire House will have done something about the state budget for the next biennium, sending its version of the budget to the Senate for action and, hopefully, ultimate compromise. It is interesting to watch this process – from a distance. The House Finance Committee worked long and hard to deal with the budget proposal from Gov. Maggie Hassan, estimating revenue for the next biennium and receiving requests for various state agencies. By March 24, committee members, led by veteran Republican Neal Kurk, approved an $11.1 billion budget, which was approximately $340 million lower than Governor Hassan’s proposal, voting along party lines. Significant and controversial changes from the current operating budget of the state are the House plan’s termination of the Medicaid expansion program on Jan. 1, 2017, a more than 40 percent cut in the Department of Transportation budget and the elimination of the pay raise negotiated with state employees. While this all was decried as major “cuts” in the budget, and departments were predicting dire consequences, the GOP budget drafters explained that their proposal spends more than the current budget and that they succeeded in drafting a funding plan that lives within the revenue estimates of current revenue sources without increases in tax rates or establishment of new taxes or fees. Governor Hassan had proposed several increases in fees. During the budget process, the governor held a series of meetings around the state in which she criticized the Fiscal Committee’s impending budget. First, she pointed out the draconian effect on state highways and bridges and transportation-related services through an $88 million cut in the highway fund. Second, she indicated that the House was operating under unnecessary constraints by using the revenue estimates that it used, and her budget was based on a more realistic estimate that was $90 million higher. Both Kurk and the governor pointed out that as the Senate considers the budget later in the legislative session, revenue estimates may have clarified and, hopefully, increased. The Republicans are faced with an interesting dynamic in their own caucus – a group of the GOP who have pledged to avoid any revenue increases whatsoever, and in fact seek to shrink government below current levels. Against this background, a proposal that Kurk announced he would support, along with Rep. Kenneth Weyler, another veteran of the budget-writing process, surprised people. They indicated that they recognized that what was being done to the highway fund was unconscionable and would wreak havoc and proposed an 8 cents-a-gallon gasoline tax increase. This proposal and process was surprising, since chief architects of the budget normally would be expected to include such proposals within the budget and discuss it thoroughly in the committee. It also was surprising since there was so much opposition to a larger gas tax two years ago when one passed. Whether a combination of Republican moderates and Democrats will be willing to support that increase, or whether politics will prevail with some Democrats seeking to punish the Republicans by not voting for the proposal, will be interesting to see. • In a budget that has insufficient revenue sources, the adjustments to interesting language about what really is a “cut” and whether a reduction from the governor’s proposal is a cut or it actually has to be a reduction from current levels in order to be so. • If a calculation could be made of what fully funding programs and policies that the Legislature already has enacted would cost, that might put the entire discussion in context. 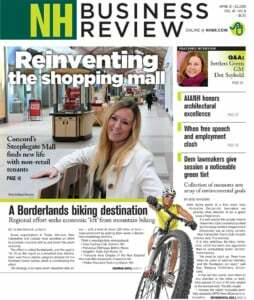 • As has been obvious for a long time, New Hampshire is either out of sync in what it believes government should do, or has been woefully irresponsible in not raising enough money to do it. Gen. John Blatsos, retired adjutant general of New Hampshire, passed away at age 96 in mid-March. The commanding general of the New Hampshire National Guard, this former restaurateur and Greek-American from Manchester was a kind and friendly man who was remembered by many who served under him as a good general and a fine person. This writer, Judge Steve McAuliffe, former Supreme Court Justice and Congressman Chuck Douglas, Brigadier Gen. Bob Dastin and scores of others remember John Blatsos as “my general.” He lived a good, long and productive life and will be missed by his family and state. 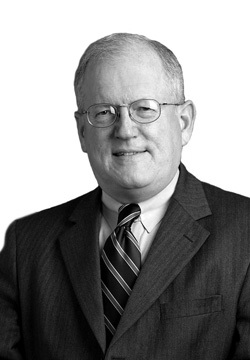 Brad Cook, a shareholder in the Manchester law firm of Sheehan Phinney Bass + Green, heads its government relations and estate planning groups.